View the entire table of contents for the Dec. 31, 2014 issue. Wine Spectator editors profile the top wines of 2014, with information on the selected bottles, producers, regions and grapes. 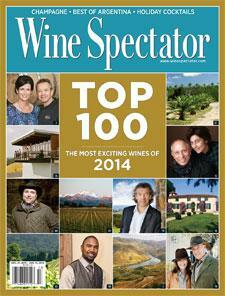 For the full article, check out the new issue of Wine Spectator, on newsstands December 2, 2014.